Let me share to you again another competing countries for the 5th Philippine Internatiotinal Pyromusical Competition last Saturday March 15. As you remember a couple of weeks ago, I shared the pyromusical display of France and Japan (HERE). 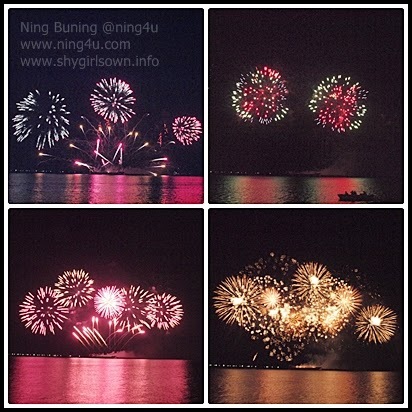 Today let me show fireworks display photos of the Finland and Canada. The first country who showed an amazing light and sound which lasted for almost 18 minutes incorporated with the hit songs of today, is Finland specifically the Oy Pyroman Finland Ltd. A company that's been in the industry for 16 years and mark a great reputation in fireworks display competition worldwide. They worked with the Eurovision in Moscow 2009 and Eurovision 2008 in Belgrade and The Nightwish World Tour 2007-2009. On the other hand, which for me dominated the scene that night is the pyromusical display of Canada which lasted for 20 minutes. Royal Pyrotechnie is a family business which was started in a small toy store that sold small crackers. Until they started to join the fireworks contest since 1967, the company has grown and honed their craft. They are only the company to have received the Jupiter D'Or Award twice. 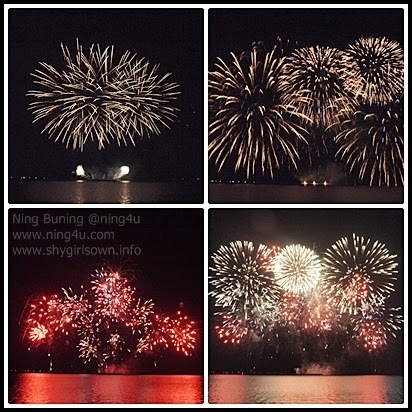 A bonus of pyromusical display offered by Bonchon was also shown. A fireworks display which was combined with their official jingle. You can still join us this Saturday, March 22 for the finale of 5th Philippine International Pyromusical Competition with our very own country and US will lit the skies. Bring your love ones at SM Mall of Asia, SM By The Bay area at 6PM to choose a perfect spot on viewing pyromusical event. You can buy your tickets at any SM ticket booth, Ticketnet and Ticketworld outlets on 100php (Silver), 300php (Gold), 500php (VIP) and 1,500php (Patron with dinner).